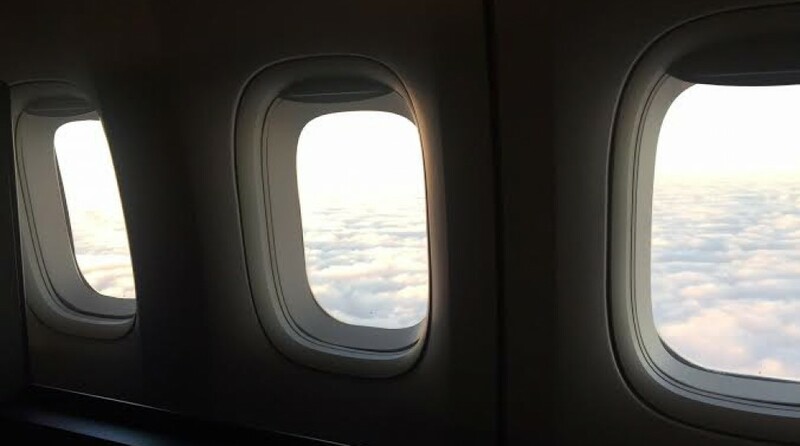 The captain just announced we’re now 120 miles south of JFK; landing in 25 minutes. Very excited about today. 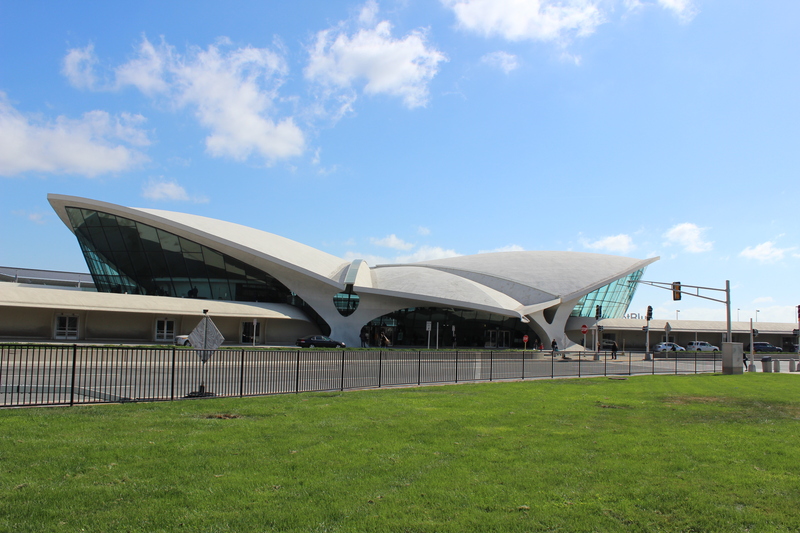 We’re finally going to see the TWA Flight Center at JFK. Up until today I had only been in the terminal once in all my years of flying. The TWA Flight Center was designed by famed Finnish architect Eero Saarinen and opened in May 1962. Saarinen also designed the Dulles International Airport main terminal building as well as the St. Louis Gateway Arch. The Flight Center served as an important hub for TWA for many years. The terminal closed in 2001 and today stands vacant. Much effort went in to saving this historic building. Likewise, many efforts also went in to saving the Pan Am Worldport. 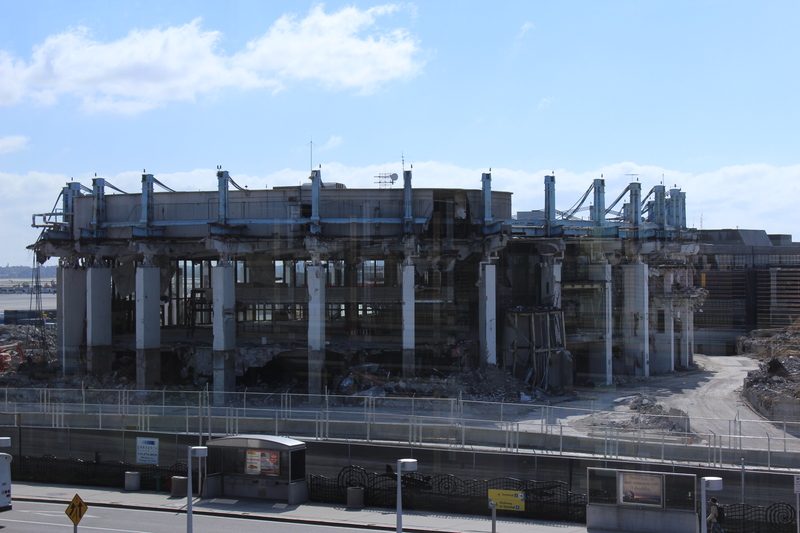 However, the terminal has been slated for demolition and that demolition is almost complete. It’s through OHNY that the Flight Center is open to the public just once a year. It’s a great opportunity to walk around this once bustling, and architecturally important terminal, and reminisce about the “golden age” of flying. We had a blast touring the terminal and met up with several of our Avgeek friends. 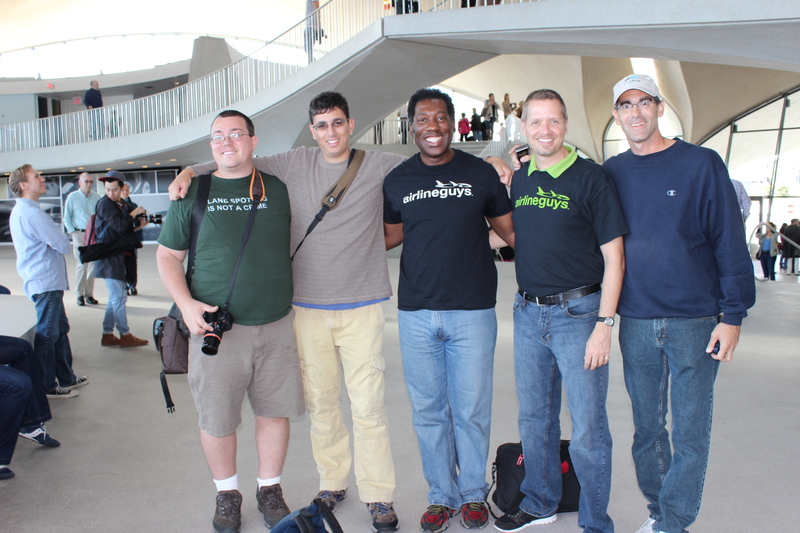 To see more pics of our visit to the TWA Flight Center, click here. Darin and Sly, it was great meeting you also. Thanks for posting the photo of us avgeeks. I wound up staying at the airport environs well after TWA closing time as did Ben and Jason. A fantastic day indeed. Great photos! I’ve always wanted to tour that. When do they usually open it up to the general public? Normally just once a year. Check ohny.org for more information. Thanks for checking in with us.